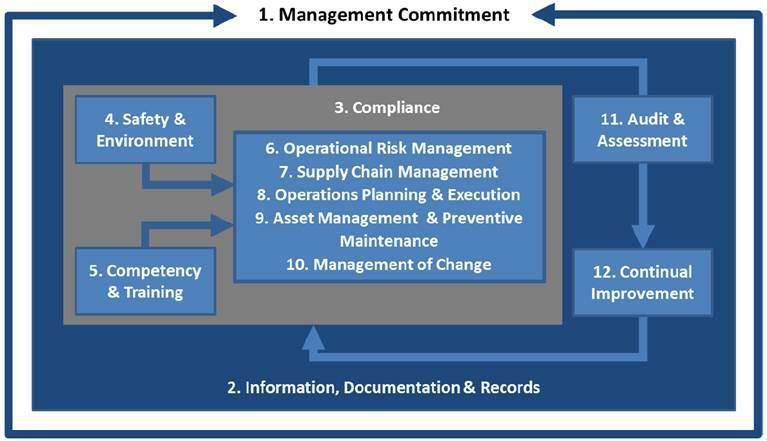 DATI’s IMS is comprised of twelve (12) key components which are based on core and supporting management processes. The key components are listed below and serve to help guide and assist DATI’s business unit and functional areas in achieving and maintaining operational excellence. Not any one component is more important than the other. The illustration below demonstrates the interdependent relationship that exists between each component and how together they come to form our integrated management system.